One of the reasons we have been busy is Heal's. We were delighted to be asked to design an exclusive cushion for Heal's AW14 season. Our new design is called Hombre and it comes in 3 colourways on natural linen, 30cm x 50cm. 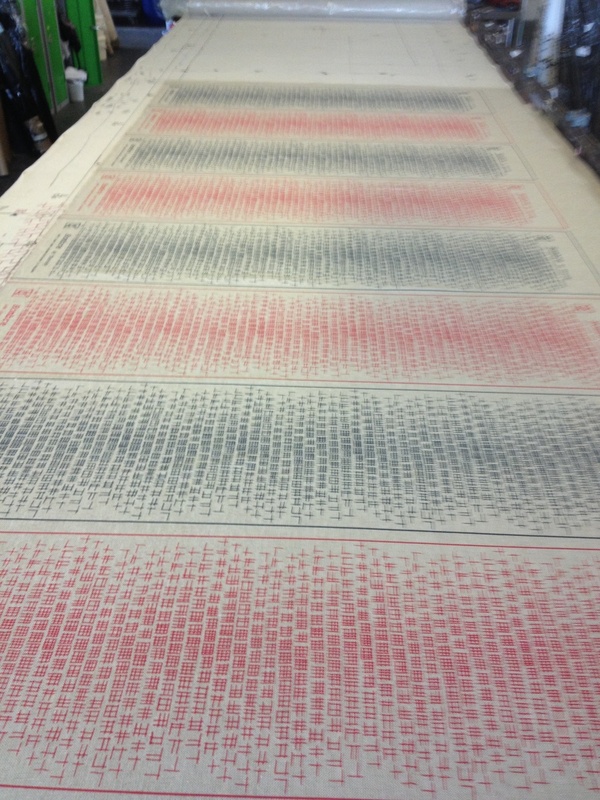 We thought we'd share some images of the production process and soon I will add some images of the cushions themselves!